He thinks Im the only one in Montana with this. Im like a rare steak I am. Also I recently found out Im still in remission with one year to go. LETS EAT ALL THE STEAK TO CELEBRATE!!! we need to stay sober for the few next facts. 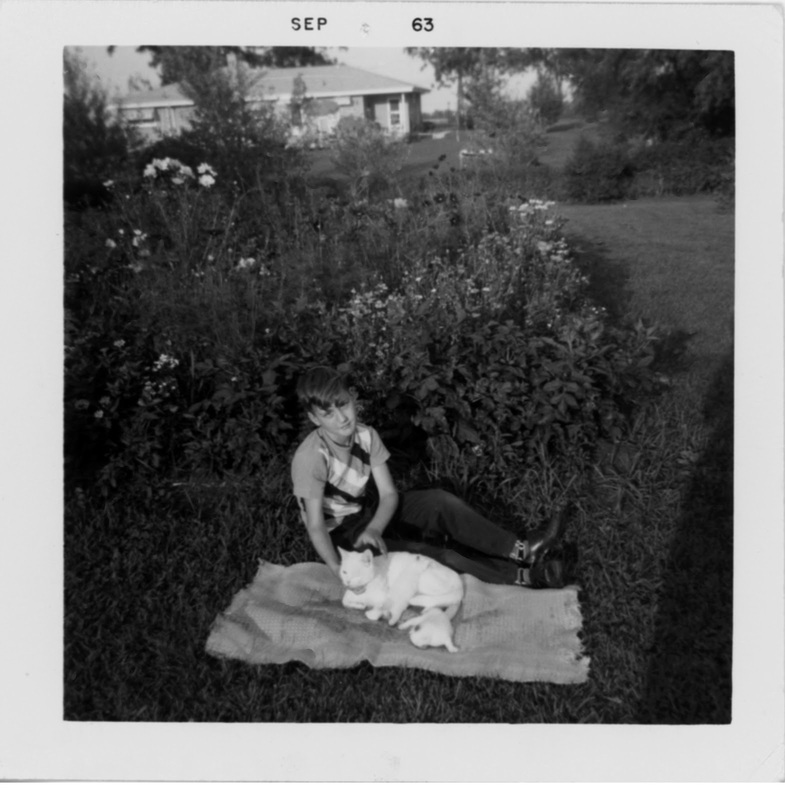 thats Fluffy the cat im trying to play with in our rural farming backyard in 1966. I still like to play in dirt. 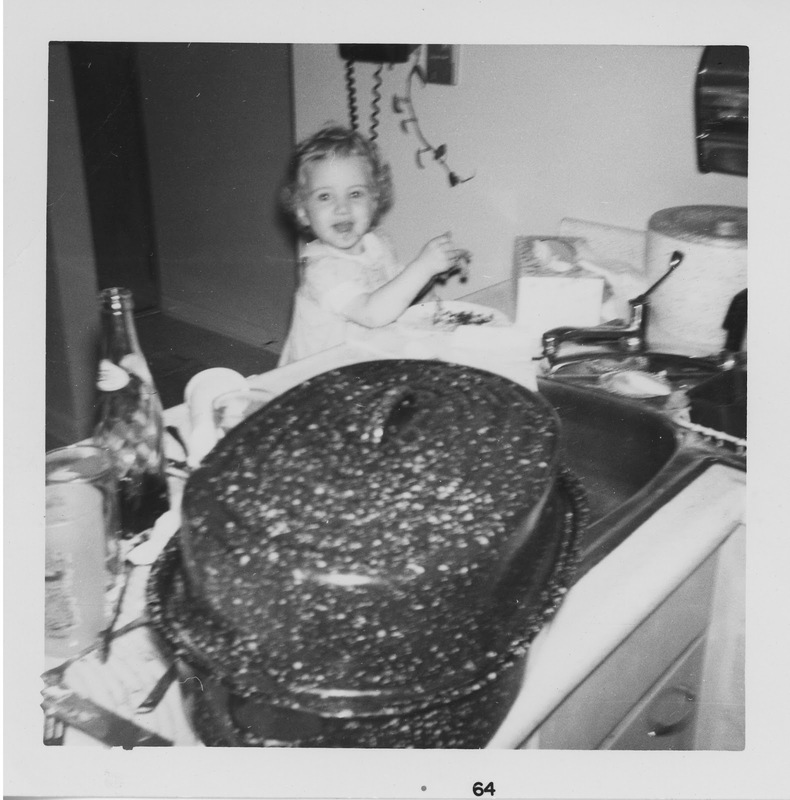 it was tastin' pretty good back in 1964..
i still like to eat... things. while Im forking out hay to the horses. Im so glad my OB/GYN appt wont be until grazing pasture season. Yes, that meant what I meant. by giving birth twice a year for 12 years. its most likely related to old Fluffy. She was a friendly cat. Sometimes I have difficulty in having normal discussions. I know, like this is a surprise to you. Most times I have difficulty in having normal discussions. 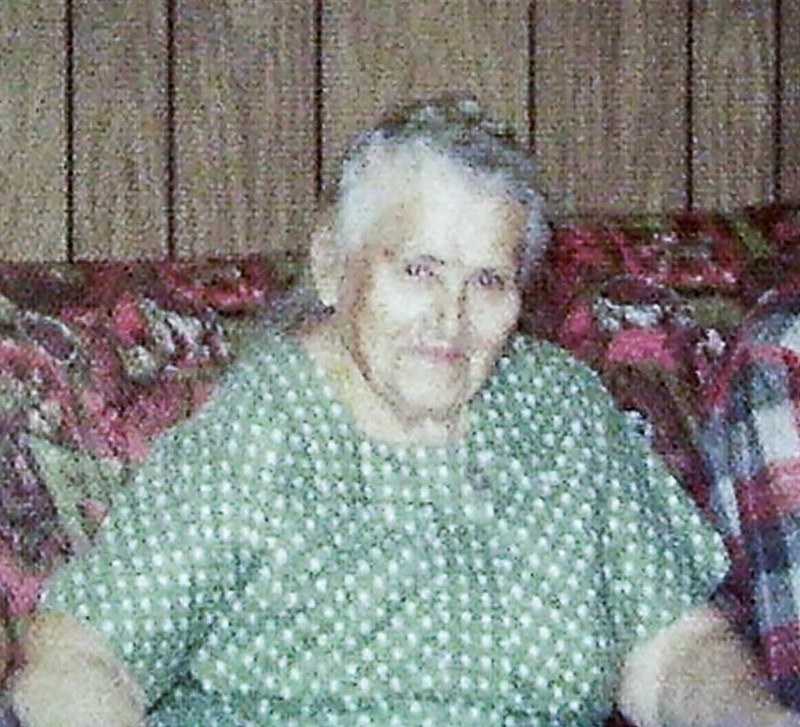 Remember my last post about my Grandma Helen? Her hair was down to her waist. I want to wear my hair just like she did. linking up with Nancy because she is the cat's meow! well those were five very interesting facts. 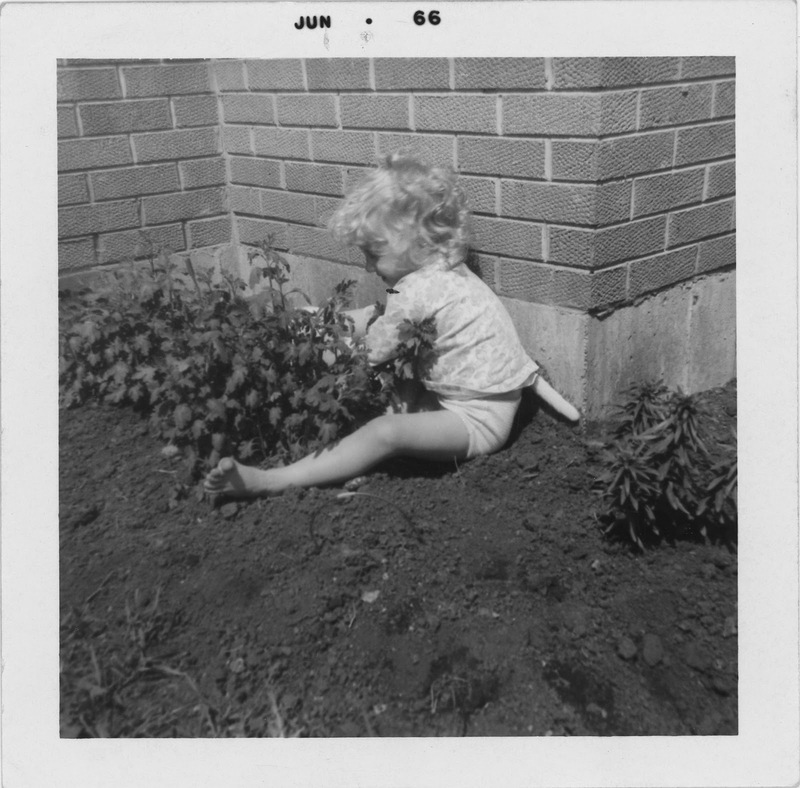 I played in dirt A LOT as a child. I still view a day that ends with me needing a good scrubbing as a good day. 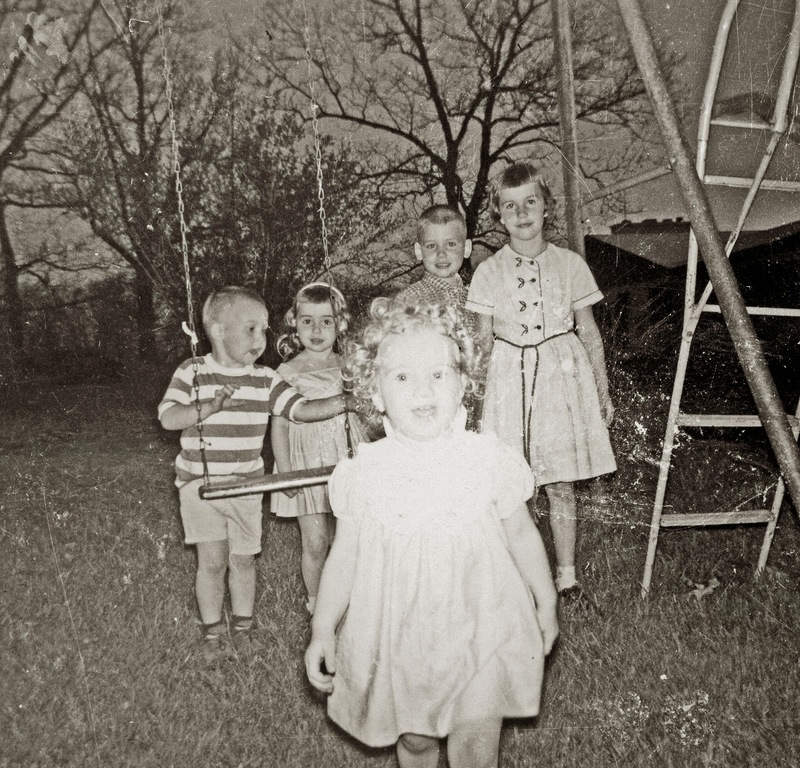 I am loving these old photos and getting to know your "rareness"
Love it, especially the trip down your underpants.............Yup.........if you can go there...........so can I! BAHAHAHAA! And I had a great granny with that kind of hair, although she died before I can remember her. Mom talks about watching her brush the thin long strands at 8 something and pinning them atop her wrinkled old head. She is my inspiration and the reason why I stopped cutting my hair. It's to my waist now, and I'm not cutting it........I brush it every morning and pin it up on top of my head and hopefully when I'm old and feeble I'll still have the arm strength to do it.........I'm rambling now, but I'm OH SO GLAD YOU ARE IN REMISSION and I promise to eat steak tonight to celebrate, but I prefer mine like you.........TOTALLY RARE! Love you! Hurrah for being in remission for a year! Steak for everyone... unless you're of the vampiric persuasion, in which case I'll happily share a stake with you. I'm really very generous y'know. Dang lady, vacuum those skivvies! Loved the photos of you! Big super congrats on staying in remission! Give that OBGYN something to talk about at the water cooler. Stay rare and stay Feral. Love the header photo. I never knew how much hair my grandma had until she came to live with us--wore it just like yours did. I had a friendly cat like that--thanks to the neighbors having a Tom next door. Poor girl didn't stand a chance. Love the old photos. You certainly have the randomness down to perfection! Loved this post. I can relate to the hay in the underwear. What sweet pictures you have. I was always amazed when my Granny took her hair down. It was very long, too, and had lots of blond still among that gray. You never saw it, though, when it was up in that bun at the back of her head.